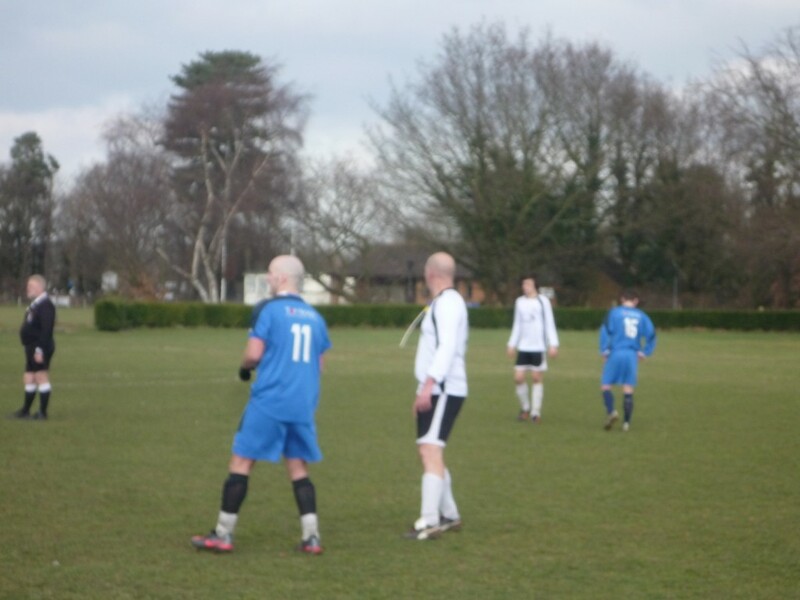 The Anglian Knights pulled together a good squad for Saturday’s game against Hockering, but without their number 1 goalkeeper, Joe Young stepped up to the job and gave a great display. Ian Probert captained the side, which saw Josh Powley make his second start of the season, Jake Robinson return to the squad and Jack Hurrell was hoping to get on the score sheet for the second week running. The second goal sparked Anglian into life at last, and a Matt Jillings corner was met at the near post by big Jim Newman, but the keeper was equal to it as he pounced at Newman’s feet. 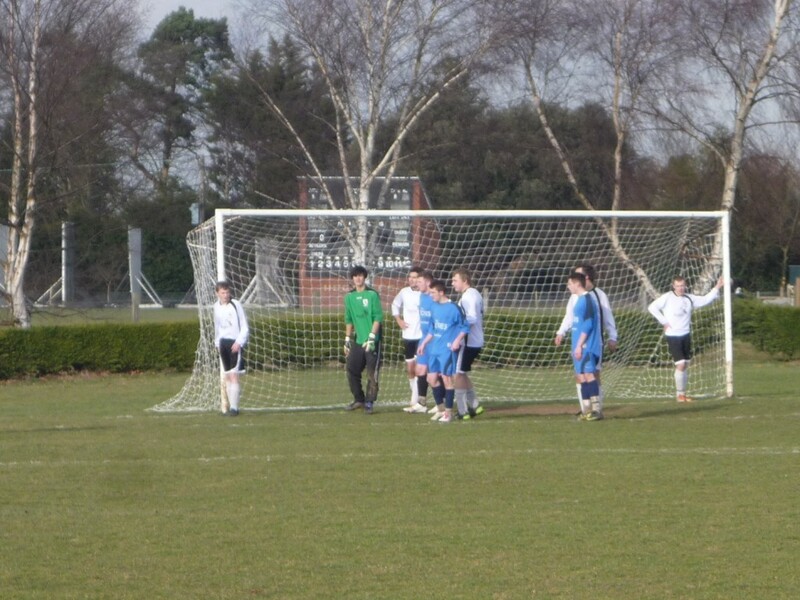 Anglian were then let off after an attack saw the striker round the inexperienced goalkeeper, Joe Young. 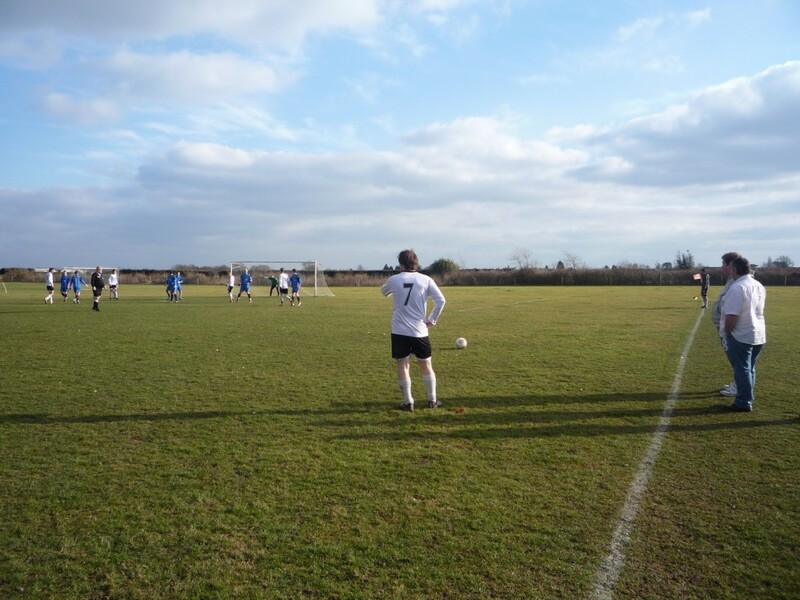 The cross was met by a Hockering striker who tapped it in, but he was in an offside position when the ball was played. Although Young is not an experienced goalkeeper he demonstrated some brilliant skill to parry a curling shot wide, from a similar angle to the second goal. Definitely a save for the cameras! Half time came and it wasn’t the sort of display the Knights wanted. Too many simple errors were being made and a lack of concentration had cost us goals. A switch of mentality was needed along with a substitute as Kirk Lanckmans was replaced by Liam Smith. Anglian absorbed some immediate pressure from Hockering then turned on the heat with some neat, simple passing, spreading the ball from left to right. A great attack down the right hand side by Matt Jillings, last weeks man of the match, saw him have an effort at goal, but it was cleared off the line by the last defender. 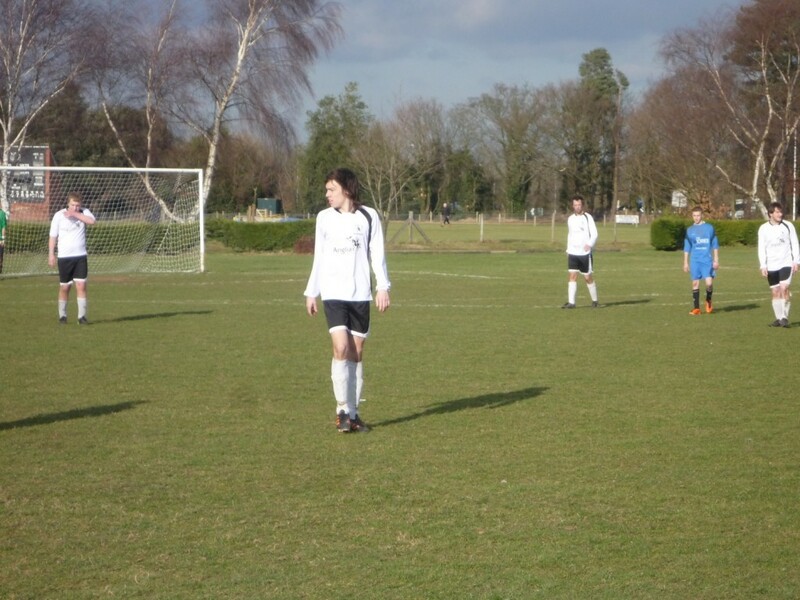 Jake Robinson replaced Jim Newman for some extra pace up front and looked sharp, despite a few weeks out. The boys in white didn’t let off the gas as they pressed Hockering for every ball, but chances were not being created often enough. In the 75th minute an attack from midfield saw the Anglian player turn his defender well and smash a curling shot, but the keeper got a hand to it. 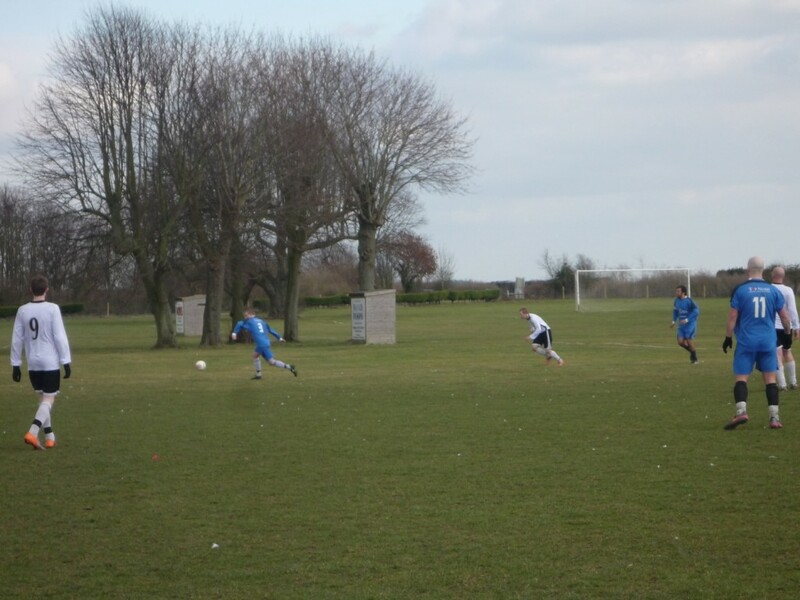 The final chance fell to Jake Robinson when Jillings crossed the ball into the box, but it was just a little to high for Robinson who failed to convert the chance.